Flowering Date Midsummer and reblooms later in summer. 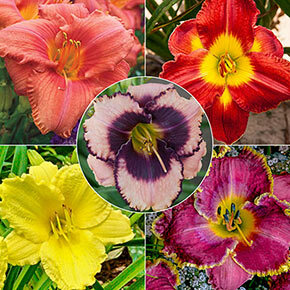 Our reblooming daylilies deliver full-tilt color all the way from late spring to fall—a full 6 to 10 weeks. 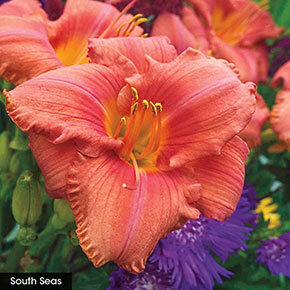 Heavily budded, each is a prolific grower with sun-fast blossoms that hold their color well in intense sunlight. 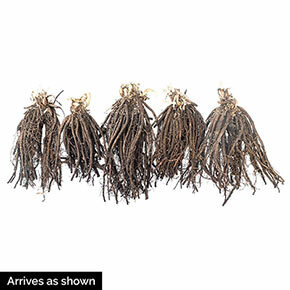 They produce dense masses of strap-like foliage that stay attractive well into the winter months—a great way to fill gaps in your landscape or cover bare patches of ground. 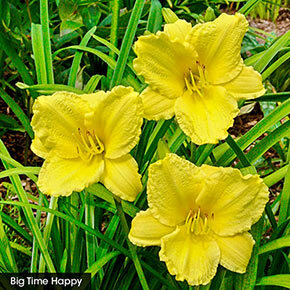 Hardy, disease resistant and drought tolerant, our reblooming daylilies are reliable and carefree. 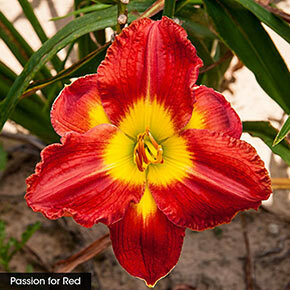 Next year, and for years to come, they will return bigger and stronger with even more spectacular flowers! 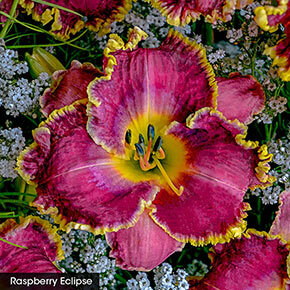 This collection includes one each of Midnight Raider, Wineberry Candy, Apricot Sparkles, Baby Moon Café and Passion for Red Reblooming Daylilies. 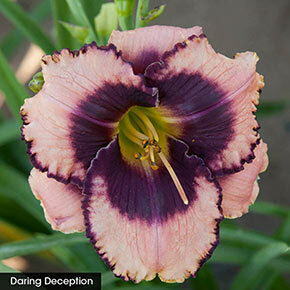 Flowering Date: Midsummer and reblooms later in summer. Winter Care: Mulch the first winter to prevent heaving of plants from the ground due to alternate freezing and thawing weather. Foliage Type: Semi-evergreen, grass-like, long, linear, medium green foliage. Pruning: Remove spent flower stems to keep plants attractive. Remove old foliage in late fall to keep the area clean. After flowering.